I can't help but love September and October in the Northwest. I use to think May was my favorite time of year. I love all the blooms in the early days of summer and thought the weather was warmer. After living here for many years, I have found that it is actually perfect weather during September and October with cooler days and not as much rain. 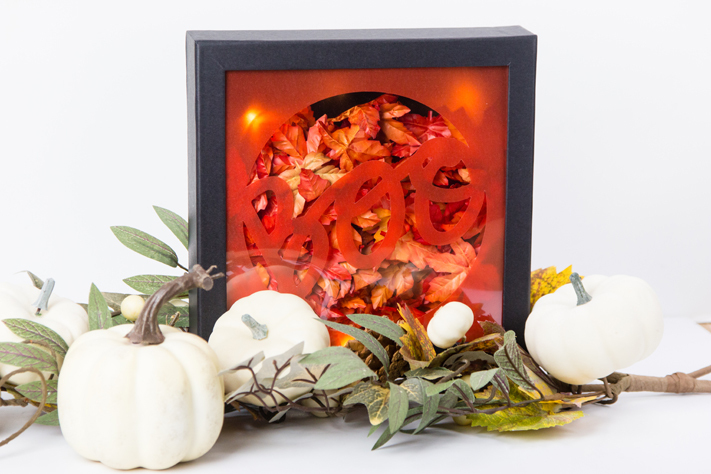 Here is a shadow box perfect to decorate the home and then, when it is closer to Halloween, I will be using it as a non-traditional Boo Bucket! 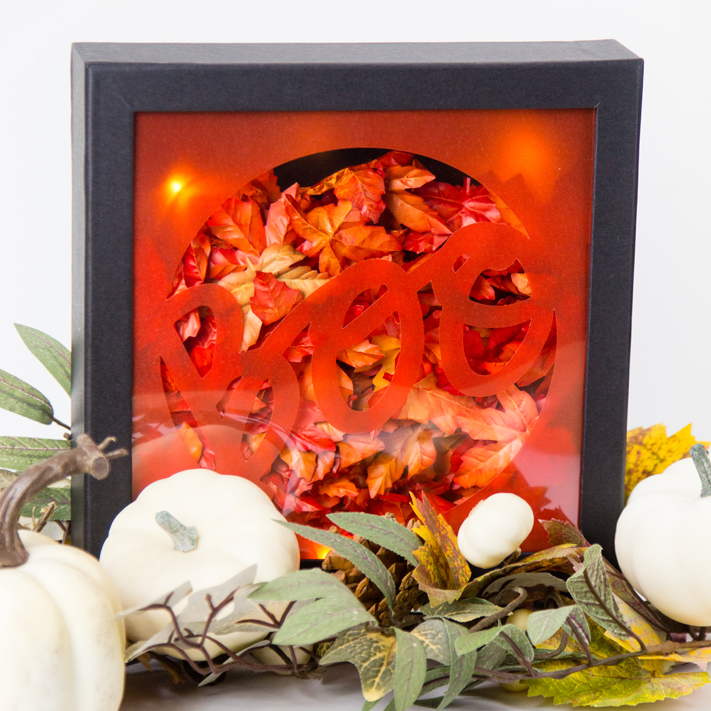 I love how this shadow box can easily be filled with your favorite decorative filler like acorns or leaves. Make it spooker with spider webs or skeleton hands. 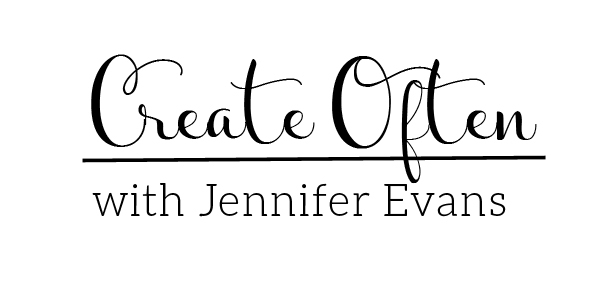 I keep on thinking of making it kid-friendly with lots of Halloween treats or candy corn! 1. Remove the top of the box. Put the back off to the side. 2. 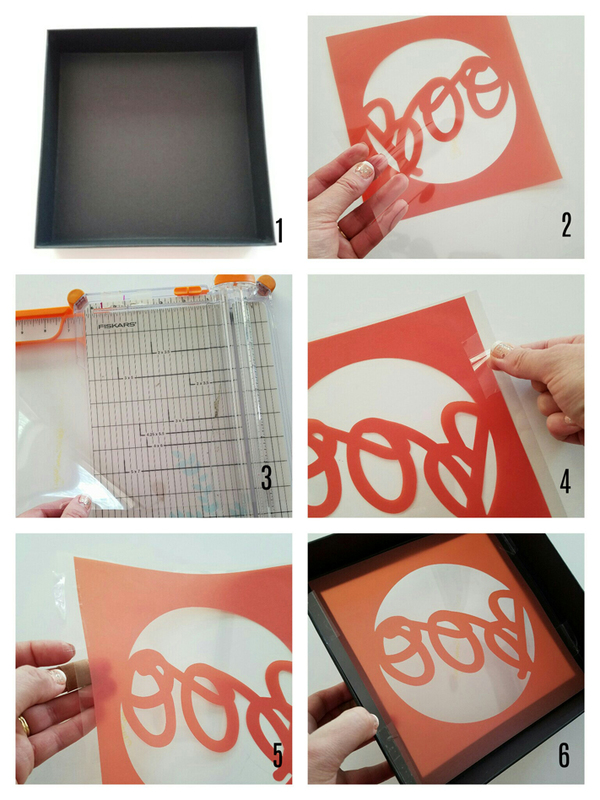 Use a piece of clear acetate paper at least 8.5"x8.5" for this project. 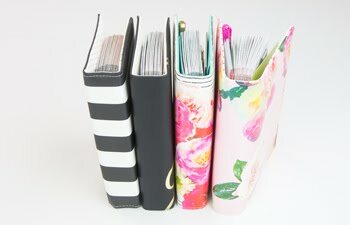 Heidi Swapp has good paper that works (see link above). You can also use clear packaging if you have it on hand. 3. Cut the acetate paper 8.5"x8.5"
4 & 5. Place the Luminary Paper on top of the acetate paper, right side down. Add tape to the edges. 6. Place the acetate inside the front of the box and tape it with wrong side up on the inside. 7. Place the top off to the side. Looking at the back, cut a hole in the bottom right corner with the tip of a knife. 8. String the marquee lights from the back to the inside. (These lights come with the shadow box kit). Now, you will be able to turn the marquee on and off from the outside. I used a Command Picture Strip to attach the battery pack to the outside of the box, but foam tape or double sided adhesive will work. 9, 10, & 11. 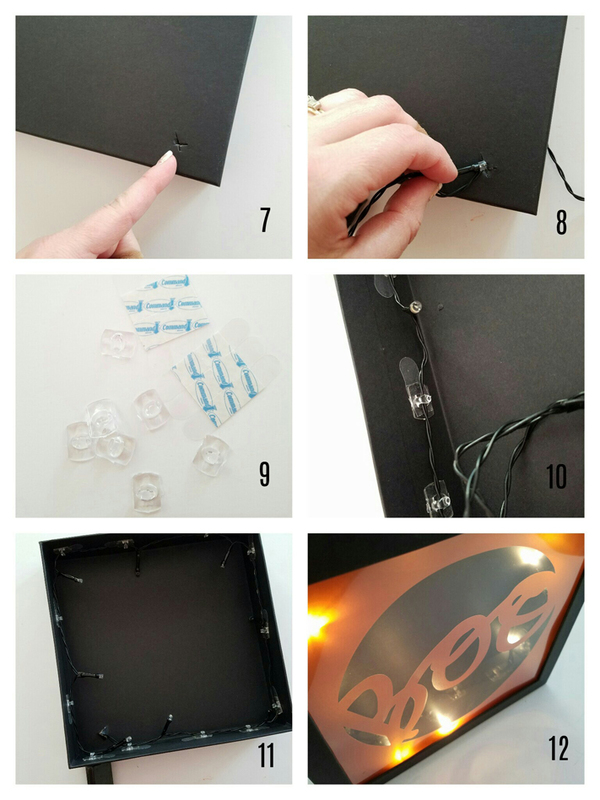 Use Command Decorating Clips (also found at Michaels Stores) and attach the hooks around the sides. This keeps the lights around the sides so that it gives even light without interfering with the filler. 12. Place the top on and turn on the switch to see if the lights are where you like them. If they are, remove the top again and fill it with your filler. Place the top back on. I love how this turned out! I have it sitting on a garland for something extra special. 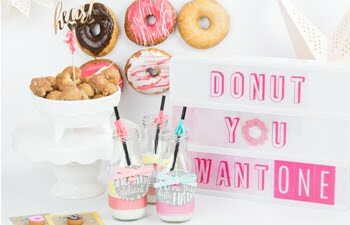 This would be lovely on a mantel or entry way too! 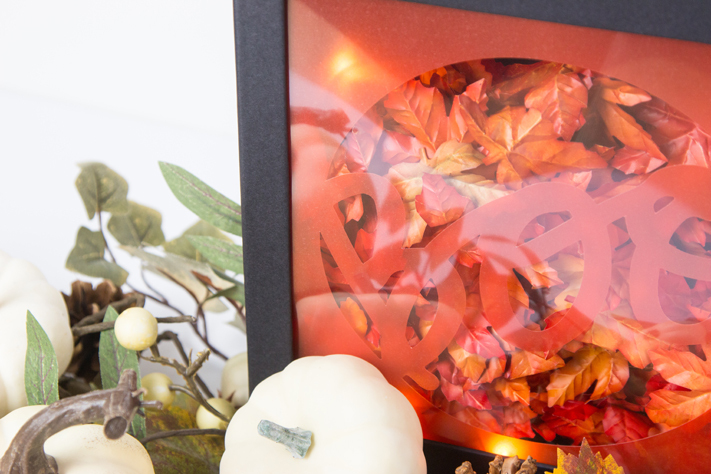 What will you fill your shadow box with?